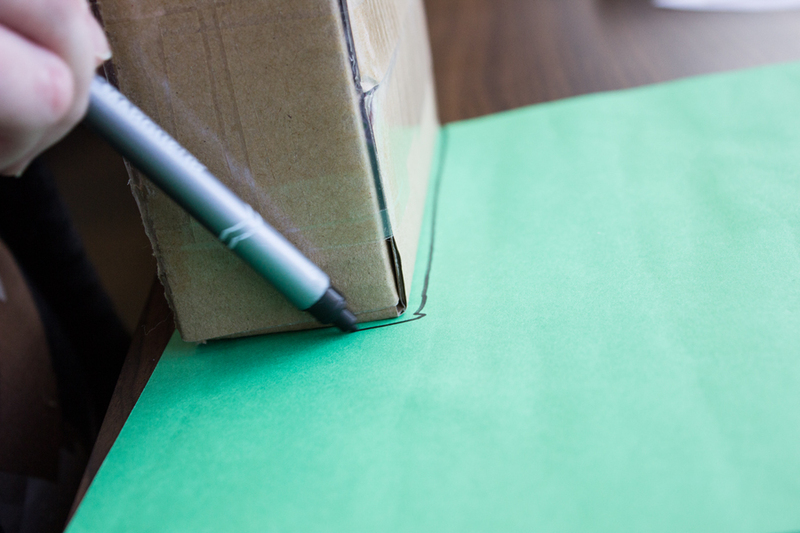 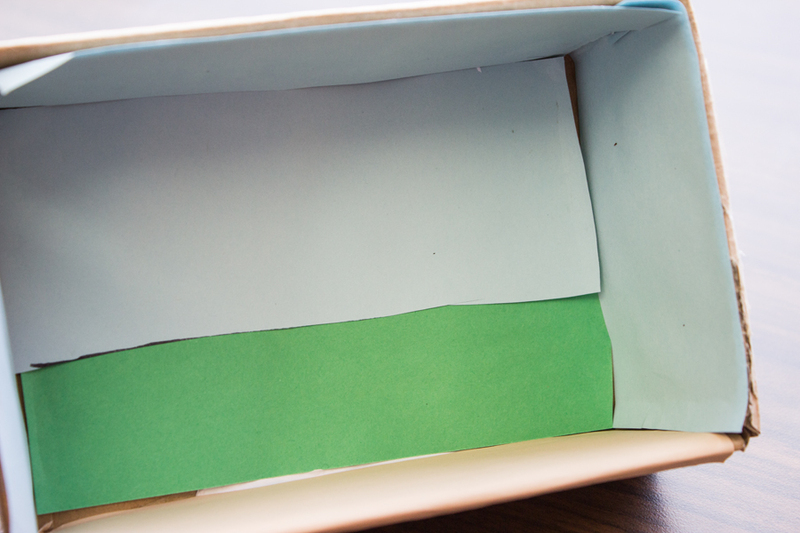 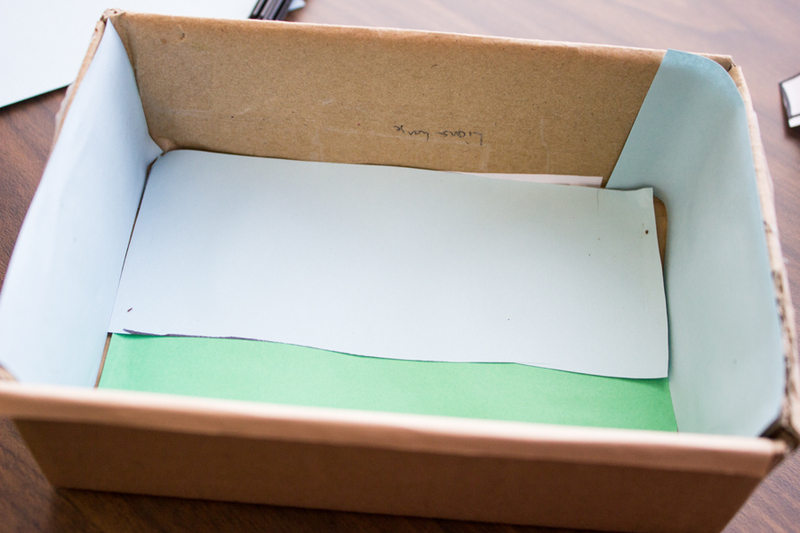 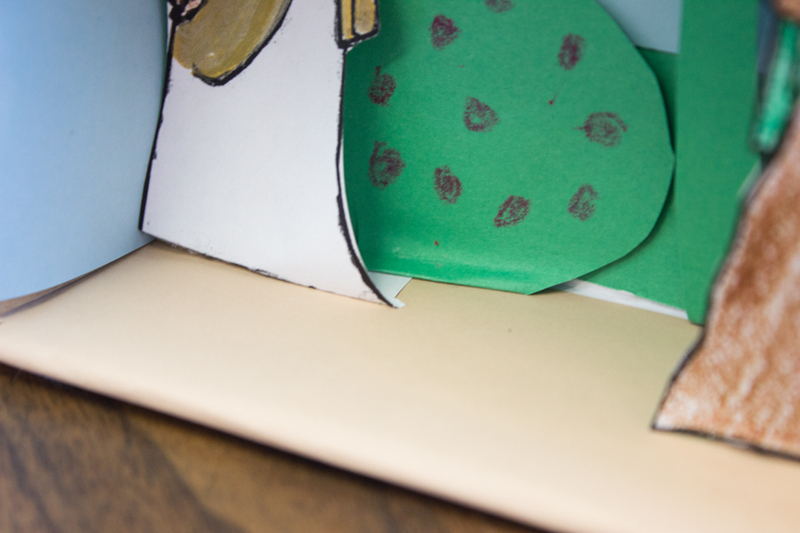 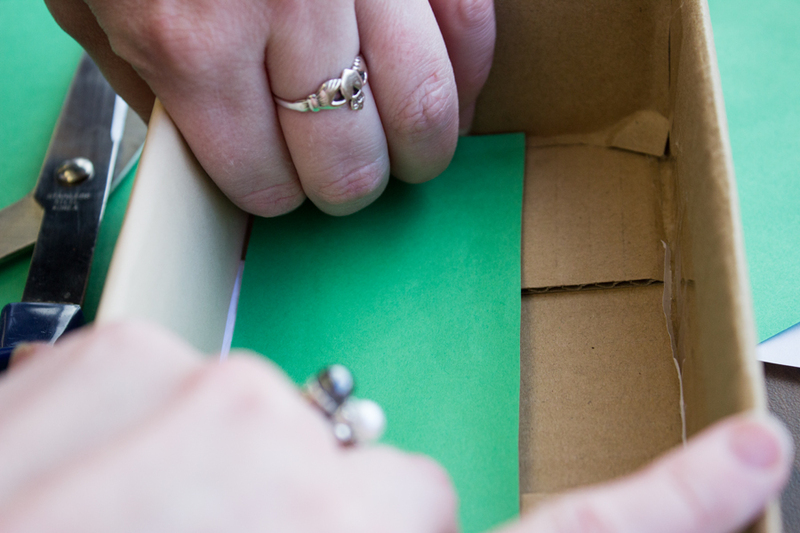 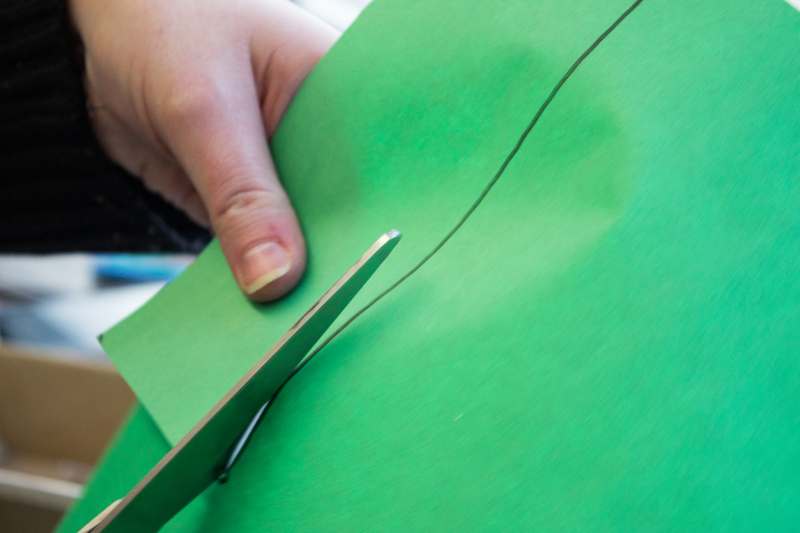 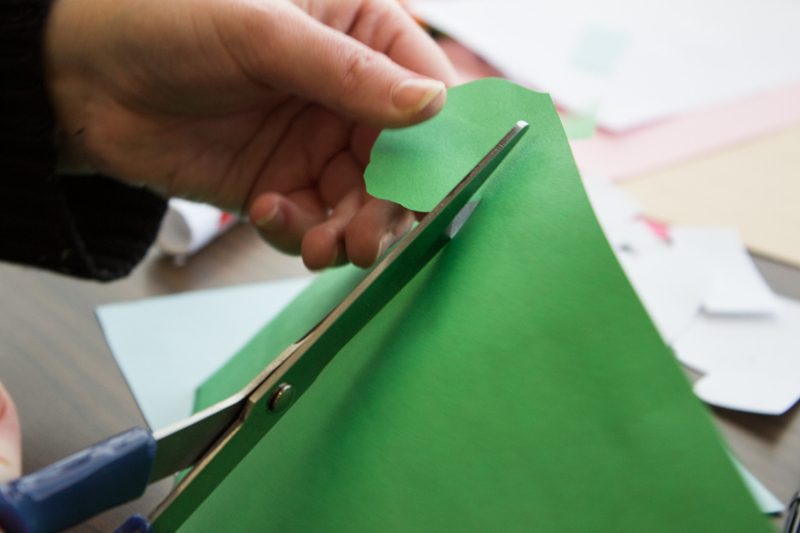 Step 2: Cut out green construction paper for the bottom edge of the box and glue it into place. 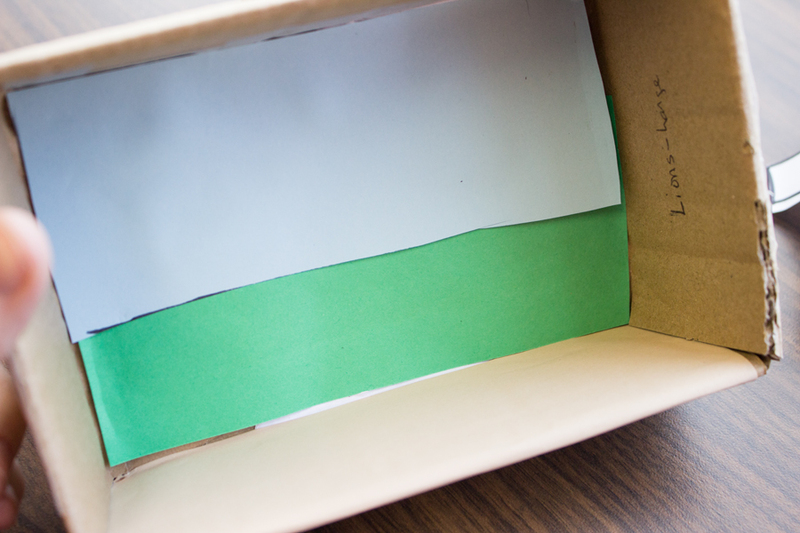 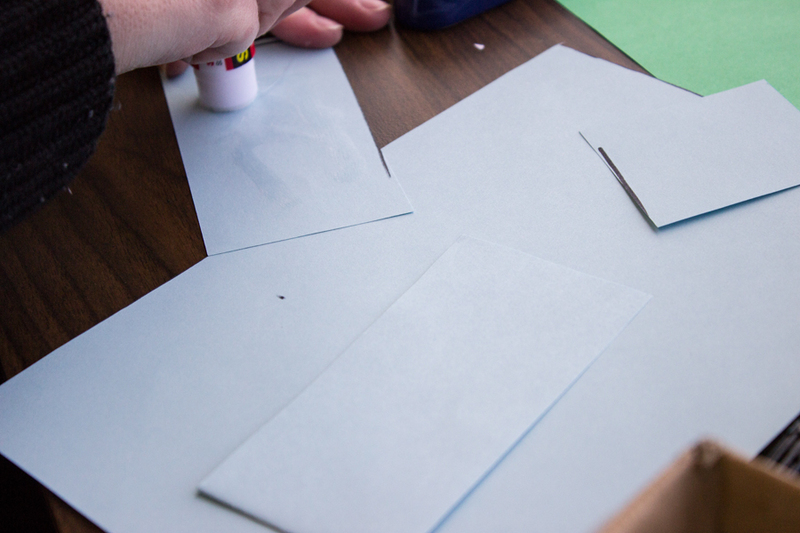 Cut out blue construction paper to line the remainder of the box and affix it. 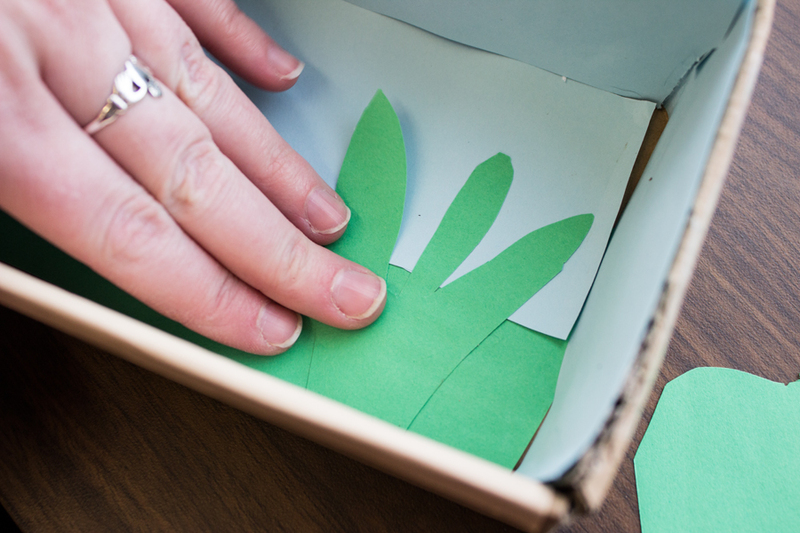 Step 4: Glue plants in, beginning at the back of box and work forward. 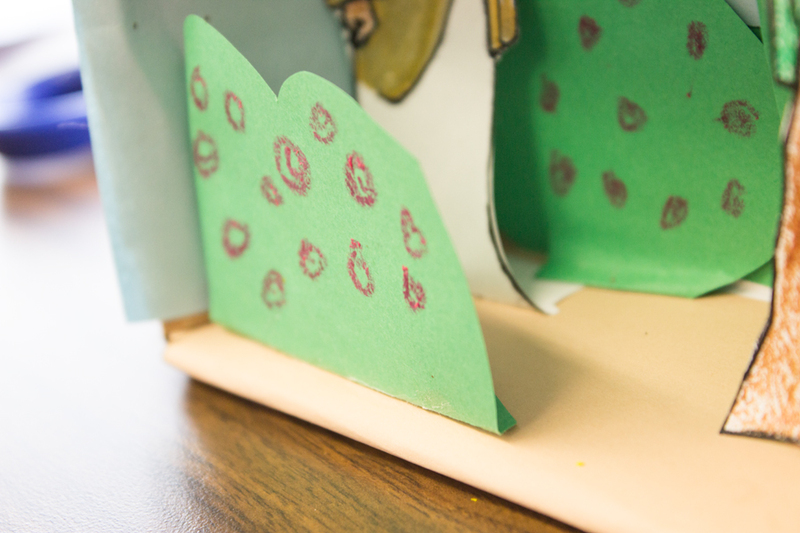 Add some flowers onto the bushes with crayons or markers. 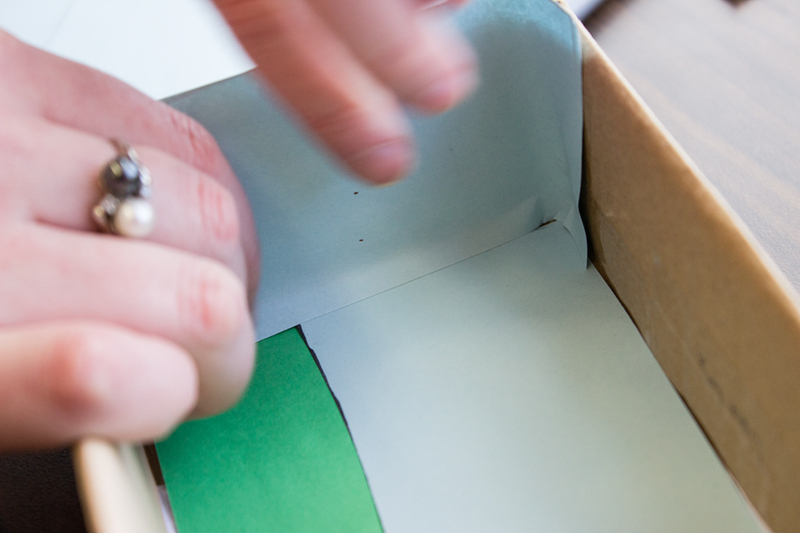 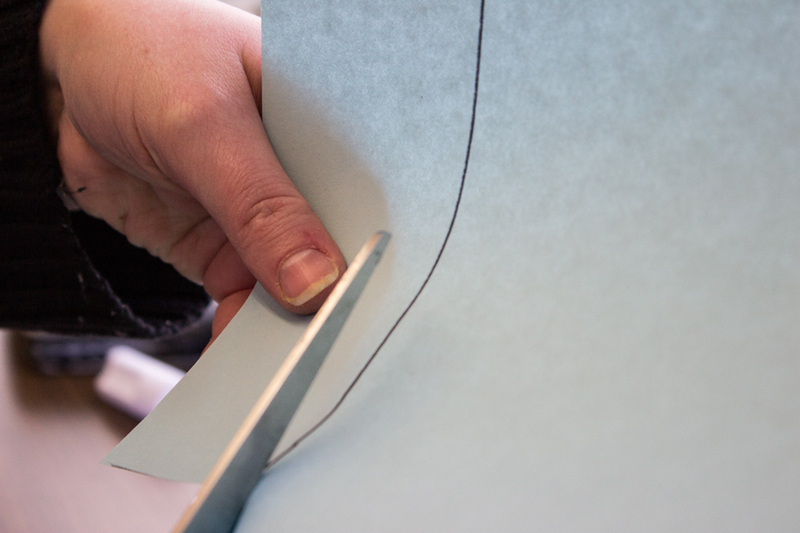 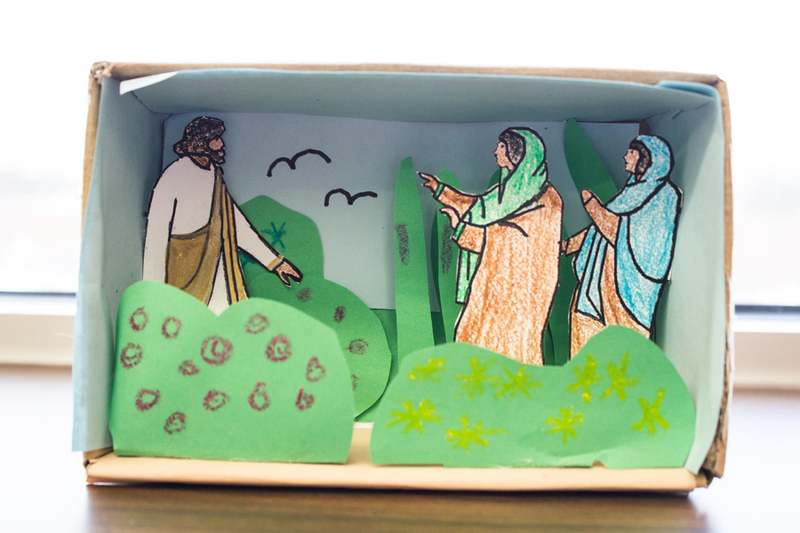 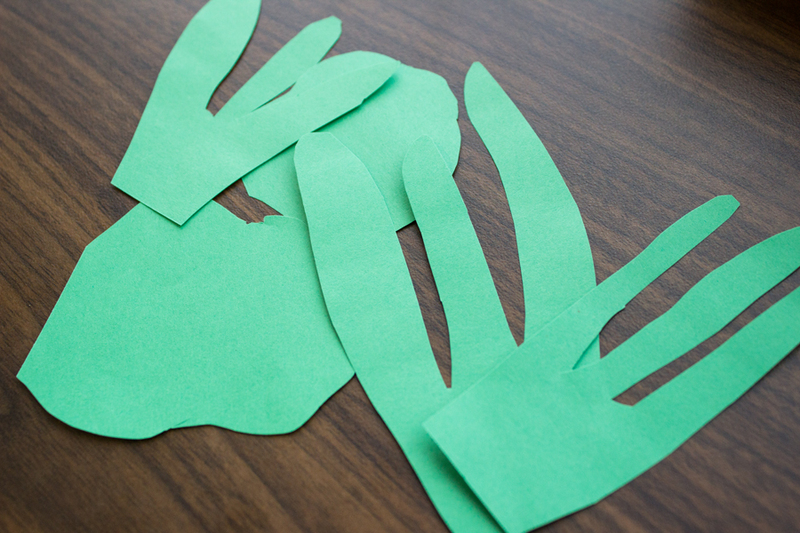 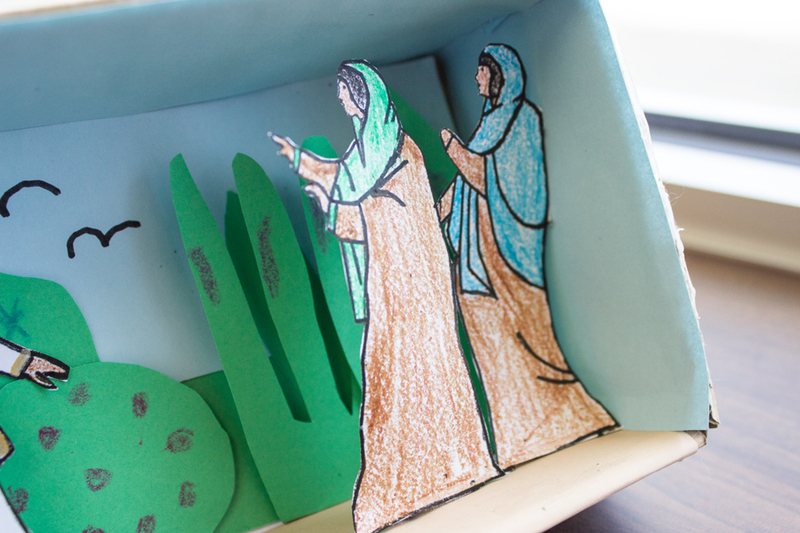 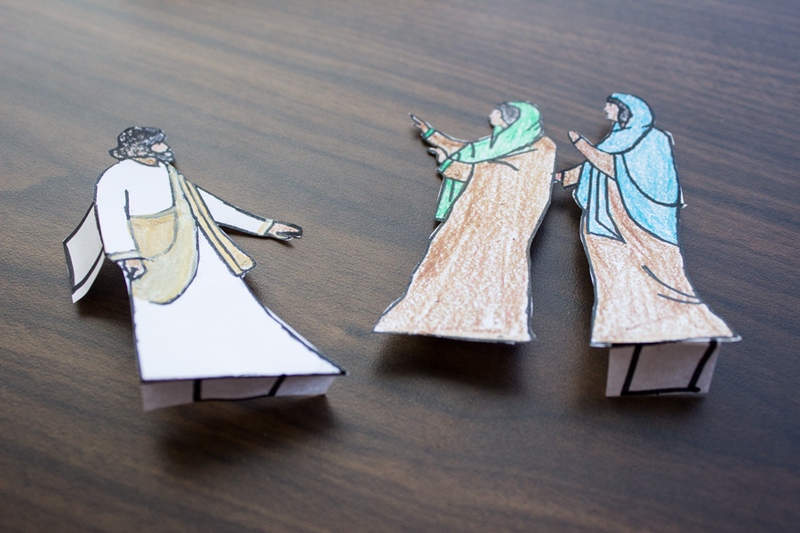 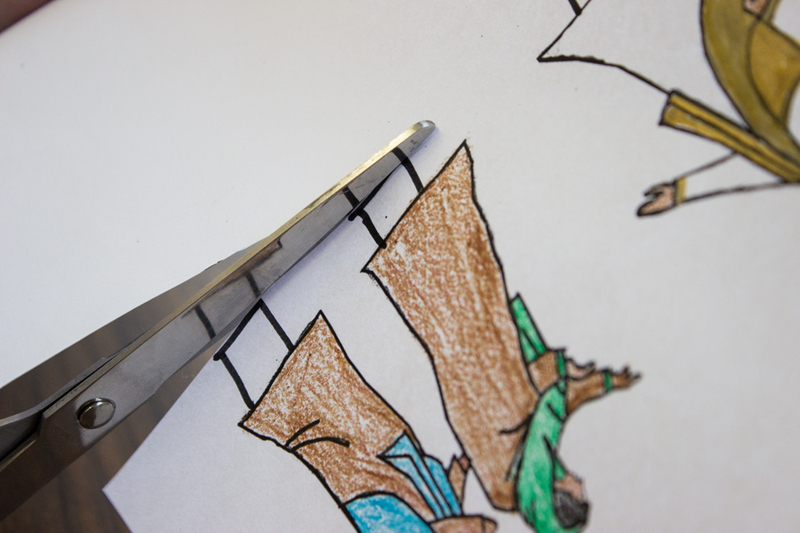 Add people at different depths, remembering to fold the tabs under and use them to attach the figures to the box.